Our quality Thermal Transfer labels are guaranteed to work everytime in any thermal printer. 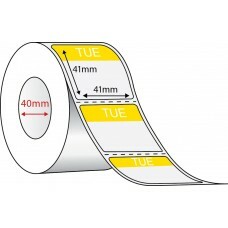 Thermal Transfer labels require a thermal transfer ribbon to be used in the printer with the labels. 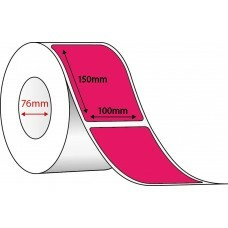 The ribbon is a wax carbon which is transferred onto the label when heat is applied from the printer. Hence the name 'thermal transfer.' 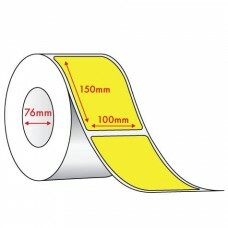 The ribbons can come in many sizes and colours, and the quality is very crisp and hard wearing. 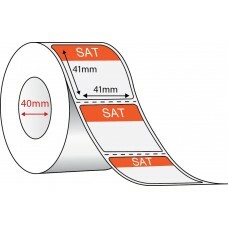 Information that is required to withstand long periods of time on the label such as barcodes or product information are best printed with a thermal transfer ribbon which will guarantee longevity. The semi-gloss finish of the label stock gives a professional and crisp look. 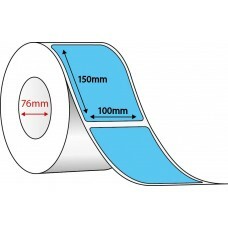 Our Thermal Transfer labels are available in permanent adhesive and removable adhesive. 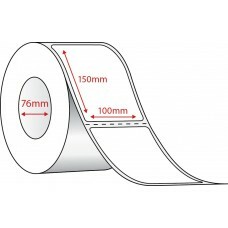 Permanent adhesive will ensure that your labels will stick to boxes etc for goods delivery and will not come off in transit. 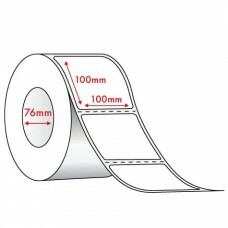 Infact, if you try to remove a Thermal Transfer label with permanent adhesive, you will find that the label will tear and will leave a sticky residue on the box. It is very evident if these labels have been tampered with. 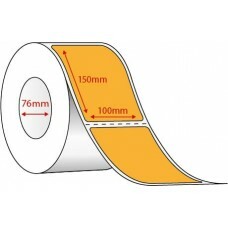 There are many sizes available, with a variety of cores and number of labels per roll to choose from. Perfect for use in almost any thermal label printer.